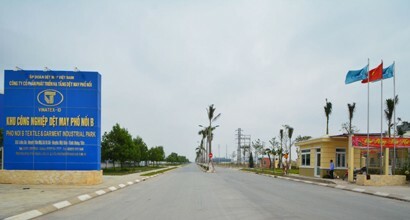 To unlock its advantageous location, Hung Yen province is further perfecting technical infrastructure and drawing investment capital into industrial zones, with priority given to large-scale high-tech projects, Mr Pham Thai Son, Director of the Authority of Industrial Parks of Hung Yen Province, shared with the Vietnam Business Forum Magazine. What do you think about the Management Board of Industrial Parks of Hung Yen Province after 15 years of operation (2003 - 2018)? In 2003 when the Management Board of Industrial Parks of Hung Yen Province was established, Hung Yen had only 390-ha Pho Noi A Industrial Park and 95-ha Pho Noi A Garment Textile Industrial Park. To date, the province has planned to develop 10 industrial zones covering ​​2,481 ha, including Pho Noi A (689 ha), Pho Noi Garment Textile (121.81 ha) and Thang Long II (345.2 ha). The province is also reporting to the Prime Minister for approval to add 3,000-ha Ly Thuong Kiet Industrial Park, Residential and Service Area to the national industrial zone development plan. In particular, Pho Noi A, Pho Noi Garment Textile, Thang Long II, Yen My II and Minh Duc are operational and have complete technical infrastructure, including clean water supply plants and centralised wastewater treatment facilities. Pho Noi Garment Textile and Industrial Park and Thang Long II Industrial Park completed infrastructure investment and basically leased their rentable areas. Thang Long II Industrial Park is among the most synchronised and modern industrial parks in Vietnam and is attracting many Japanese investors. So, how is the investment and business performance of tenants in industrial parks? Up to now, Hung Yen industrial zones have attracted 382 projects, including 211 foreign direct investment (FDI) projects and 171 domestic direct investment (DDI) projects, with a total registered capital of US$3.6 billion and over VND23,500 billion (US$1 billion). They hired 717 ha of land, accounting for 77 per cent of rentable industrial area. Japan is currently the largest investor, accounting for 60 per cent of total projects and 73 per cent of total investment value, followed by South Korea with 18 per cent of projects and 12 per cent of the value. Investment projects in industrial parks are quickly carried out in line with registered progress and adhere to current laws. Industrial parks are now home to 312 investment projects (180 FDI projects and 132 DDI projects), accounting for 83 per cent of projects in force. Their disbursed capital reaches US$2,875 million, or 81.7 per cent of the registered FDI fund and VND17,342 billion, or 75 per cent of the total registered DDI capital. Operational projects make US$4.5 billion of revenue, US$2.2 billion of export value and US$1.5 billion of import value. They also pay VND1,800 billion to the State Budget and employ 48,000 workers. Would you be kind enough to tell us about current investment attraction orientations at Hung Yen industrial parks? In recent years, industrial parks attracted huge investment projects powered by advanced technologies, such as a project invested by Toto Vietnam Co., Ltd; a project of Hyundai Aluminium Vina Co., Ltd; Hoya Glass Disk Vietnam II project of Hoya Glassdisk Company; and a project of Hoa Phat Steel Sheet Co., Ltd. In addition, some enterprises registered to invest in research and development (R&D) on information technology products, lithium battery materials, household electrical appliances and veterinary vaccines. Attracting these projects has helped maintain the pace of economic development, promote industrial development, especially supporting industries, generate State budget revenue and create many jobs for workers. In recent years, the province has shifted its investment attraction approach to meet development requirements for specific periods of time, with priority given to investment projects with huge investment fund, advanced energy-saving and environment-friendly technologies, and particularly tax-generating projects. How do you assess the quality and effect of public administration reform conducted by the Management Board of Industrial Parks? The Management Board applied the ISO 9001:2008 quality management system to direction and administration since 2008 and shifted to the ISO 9001:2015 standard since in 2016, thus helping to strictly control civil servants, ensuring the rule of law and raising product quality. The deployment of information technology applications has been accelerated, coupled with the administrative system modernisation. To date, the board has provided online public services for Level 3 administrative procedures and some Level 4 procedures. Since the beginning of 2018, all jobs have been received and settled via document management and administration software. The electronic portal of the Management Board has also been effectively implemented, helping enhance publicity and transparency of administrative policies and plans. Administrative procedures and addresses for receiving business opinions, project information and industrial park operations are publicised and promptly updated on electronic information portals for investors to access and follow. In addition, the organisational structure of the Management Board has been further strengthened. In 2016, the Board established a single-window application reception and result delivery division, connected with the Business Registration Office of the Department of Planning and Investment, to deal with investment registration and business registration procedures for foreign investors. It established and maintained operations of the Japanese Business Help Desk in Hung Yen where investment registration and business registration procedures are resolved in three days, 15 days faster than regulations. Administrative procedures are controlled well; new legal regulations and administrative procedures issued by ministries and other authorities are announced timely, drafted and submitted to the Chairman of the Provincial People’s Committee for public announcement; and administrative procedures are assessed to find existing problems to propose amendments, supplements and simplifications. Administrative procedures received by the Management Board are settled in time or sooner than the regulatory timeframe, with approximately 56 per cent settled from one to nine days sooner. The result of benchmarking the Public Administration Reform Index of the Management Board of Industrial Parks has improved year after year, from 7th position in 2015 to 2nd in 2017 in the province.